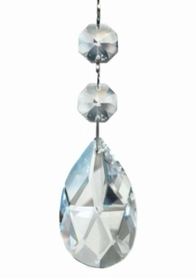 Home > Garlands & Pendants > Garlands & Crystal Strands > SALE ! Faith Hope & Love Garland 54"
SALE ! 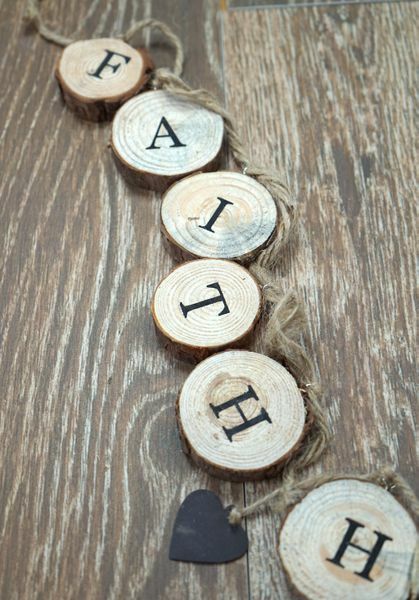 Faith Hope & Love Garland 54"
Start with FAITH, add a healthy dose of HOPE and it can only lead to LOVE! Or, look up 1 Corinthians 13 for our favorite Bible verse. 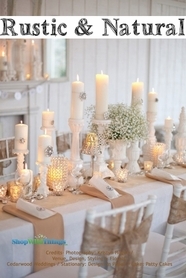 Can't you just see these hanging along the dessert table at your wedding or party? Draped along an arch or mantle? We love them so much. In person they are SO much more wonderful! These three magical words have touched and guided all of us at one time or another. This inspiring natural wood garland is 54" long and the timeless message exudes encouragement and urges us to be relentless in pursuing our dreams. Hanging from a jute rope, the wooden disks with bark vary in size from 1 3/4" in diameter to 2 3/4" in diameter and are 1/2" thick. A 1 1/2" long metal heart charm hangs between each word. Ready to hang right out of the box and easy to integrate into any color scheme, this garland is a perfect wedding and anniversary gift. Hang on a wall or mantel, string in a tree, display at your desk/work area, attach to a wreath or simply lay on a sofa table in a curvy pattern. Whether it's just trying to get through the day, achieve a challenging goal or face a difficult situation, FAITH, HOPE and LOVE are certainly words to live by, every day.